The Bulls are considered underdogs, long shots. Though they’re a lot closer than they were a month ago, now with vigor and vivacity that seemed long lost. Life is why you never give up. There’s always hope, and you can be very surprised what you find around that unexplored corner. Or unused lineup. There’s always a chance if you don’t surrender to your disappointment and anguish. 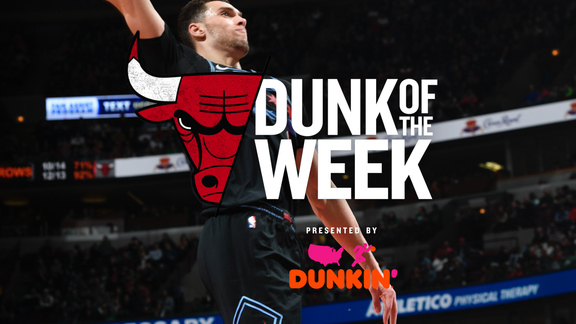 The Bulls discovered that last month after a devastating and embarrassing loss in Boston and eventful airplane ride to North Carolina. Few these days find peace and resolution on the way to North Carolina. 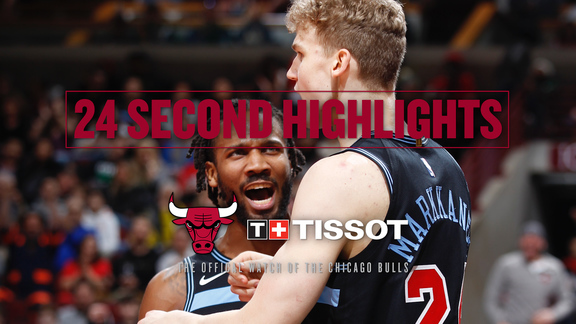 The Bulls did, a change in lineup, attitude and style that helped produce seven wins in the last nine games, a 41-41 record that was good enough for the last seat on the NBA playoff bus. Which for the Bulls rolls into Boston 5:30 p.m. Sunday to start against the No. 1 seeded Celtics. Yogi Berra supposedly observed once when you reach the fork in the road to take it. The Bulls had come upon a crossroads of their season. The trip from Boston to North Carolina became an awakening that even now gives them hope, if not belief, they can make something special of this often incongruous and inglorious season. The Bulls had reached a low point in the season both numerically at 31-35 and spiritually with the calamitous loss in Boston on national TV. It wasn’t just the near 30-point deficit much of the game or the horrific shooting, the sagging shoulders under the weight of a season seeming to having fallen in on them. The Celtics were laughing at them, Isaiah Thomas joining the fans’ wave while sitting on the bench, Celtics players laughing at those comments not usually so funny. The season had become a doctorate in dysfunction, changing lineups, trades, promotions, demotions, rivalries, team meetings, individual accusations, fines, benchings. There was plenty of "me" in spelling team for those guys. The hope of the so called Three Alphas upon arrival with the 10-6 start through November had been extinguished in the reality many saw previously: Three guys best with the ball, not so good shooting three pointers, playing with two other guys who rebound well, but don’t score or shoot. It took a month, but the rest of the NBA picked up on it. The squeeze on the court often was obscured by the personalities off. Rondo, Butler and Wade wasn’t working. Someone had to go. Rondo was low man with the shortest contract. He was benched after the Dec. 30 loss in Indiana that sent the team under .500. He didn’t even play for five games. Meanwhile, Mirotic, facing his own free agency and always a bit uncertain about his status, stewed a bit in his own frustrated juices about losing a starting position to Taj Gibson. He pressed and added pressure. Alone without buddy Pau Gasol, he crawled more into himself. His play, predictably, declined. He left the rotation as well. There was enough talent with Butler and Wade to be average, but who was satisfied with that? So they rocked and rolled around .500, good wins, horrible losses. Excellence is consistency. They were not. Boston was the bottom, a fifth straight loss, baked like a Boston bean that Sunday afternoon in March. Hoiberg was ready for some major changes; it was good to share it with Wade, who had been no great fan of Rondo’s or Mirotic’s. But Wade also understands the game. He and Hoiberg watched film all the way to Charlotte and it remained clear. They needed more speed from the ball handler, less holding, obviously, but also more shooting to get the defenses off he and Butler. Sure, they’d talked space and pace all season, but there also was the ongoing tryouts and auditions; just who could play with all those kids. It takes time. Time was up. Hoiberg was glad to hear it from Wade, especially. Rondo needed to be there, so did Mirotic. Hoiberg knew there’d been some friction among them, but he was ready to go with that group again and show Wade his flaws as well. You want your best players to buy in. Wade was offering to pay. Butler was on board. "I’ve got Rondo on my side this time,” Wade said Wednesday when asked about playing Boston again. “Most of the time I played against him. We’re going to lean on him a lot, his leadership. He’s our starting point guard. Him going into a familiar place and we know how important it is for him and what it is going to mean. We are all going to get behind him and get this done for him." Rondo went back into the starting lineup the next game in Charlotte and scored 20 points for the first time this season with six assists and six rebounds. Mirotic came off the bench, but he led the Bulls with 24 points and 11 rebounds in one of their better wins of the season. He made five three pointers; it’s much easier to shoot without a boulder of distress on your back. Professional athletes are the gods of our society, the fittest and fastest, able to perform extraordinary feats. We prefer their lives to be about the joy and success we can revel in. But they bleed like everyone else, emotionally as well. 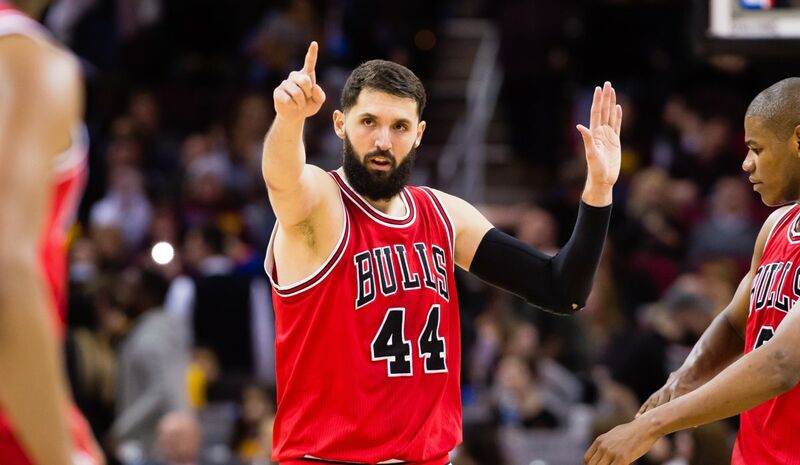 Mirotic had so sought acceptance from the team’s stars. Not that he didn’t have it, but no one ever said. He glowed after he heard Wade had lobbied for his increased presence in the lineup. He told a staffer he’d wished someone had told him before. Everyone likes to hear about acceptance. Not everyone can be the stoic, strong, silent type we celebrate and fantasize about. More fancy than reality. Mirotic got back into the starting lineup after three games. Since sitting out that Boston game, he is averaging 15.8 points and 6.8 rebounds. More significantly, he is shooting 47 percent on threes and averaging five made threes per game. 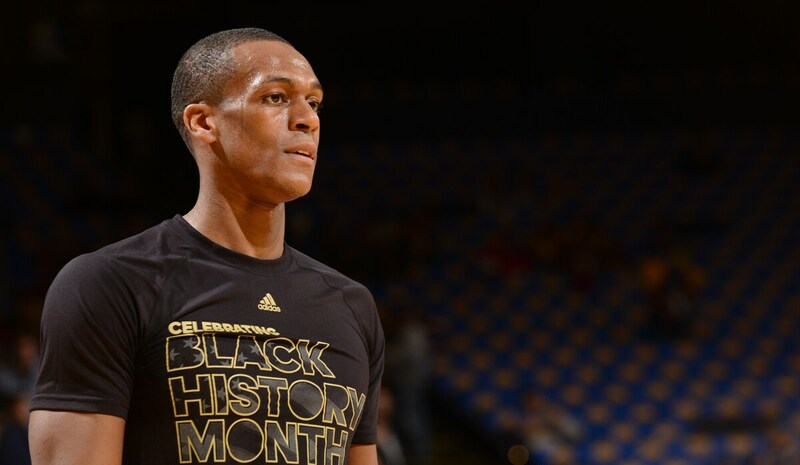 Rondo started in Charlotte and since except for the three games out with a bad wrist. He’s averaging for the season 7.8 points and 6.7 assists. But since that loss in Boston, he is averaging 12 points and eight assists. The Bulls since that March game have made double figures threes in a game 12 times in the 16 games and a franchise record seven straight. They’re averaging 107.3 points per game since then in going 10-6. It’s the same record the Bulls had in their 16-game start of good feelings. It wasn’t a pleasant 50-game interlude to watch or be a part of. But it provided a basis and foundation for growth and realization. Your worst days can prove to be your best remedies as long as you don’t give in to them. It’s a credit to this Bulls group they survived the darkness by trying to unlock their aspirations. No reason to believe now after what they endured, realized, accepted and overcame that they won’t.